Social media is INSANELY important, I love it, but it isn’t the only way to get new clients. With the fast changing landscape of digital marketing, social media has become one of the easiest ways to generate new clients, but I see some really big changes coming to that. In today’s episode, we talk about how you should be diversifying your veterinary practice’s traffic and client generation by becoming a multi-channel marketer. What is a multi-channel marketer? Simply put it is someone who understands and can use more than a single marketing channel. So if you’ve been working on and mastering Facebook, you should also have Adwords, email marketing or other media channels to help generate clients. What is prompting this discussion today is that I’ve been seeing Facebook get much more difficult from the paid ads department, especially over the past year. It makes total sense and here’s why, Facebook’s growth is slowing when it comes to new user growth and younger segments are actually using Facebook less. Despite this lack of user growth, Facebook’s ad revenue is higher than ever and this is because there are more advertisers than ever. Both Facebook and Instagram are seeing more ads and advertisers and it’s only getting more crowded. It is simply a matter of supply and demand. Demand is up and supply is limited so prices go up. This doesn’t mean that Facebook isn’t still a fantastic, amazing and effective platform, it just means the gravy train is over. I’m seeing higher cost per clicks and more expensive leads. We’re still around the 8-15 dollars per lead area right now for most veterinary practices, but be prepared for that number to go up. As long as you’re good at retaining clients, Facebook will continue to be a valuable way to attract new people to your veterinary practice. You’re also going to want to make sure that you are tracking your marketing so that you can know what your ROI is. 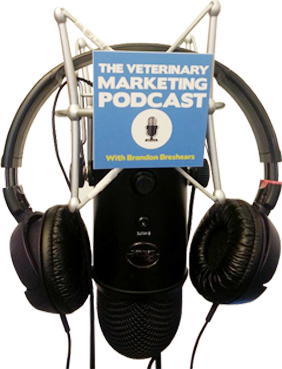 So let’s talk how to protect yourself from overexposure in one area by diversifying where your clients come from in this episode of the veterinary marketing podcast.